The Kirk’s still and outwardly world church. | SNinternational. On the fourth day of General Assembly atop the mound there were mixed emotions as one of the Commissioners attending General Assembly was killed in a car accident after the previous days business. The minister. Rev.Tom Sinclair,who was clerk to the Presbytery of Lewis, and his family were remembered in Prayer by the Rt. Rev. John Chalmers at the beginning of the fourth session. There was a full agenda covering Mission, Youth and indeed the World Mission Council’s report. The Guild of the Kirk too was a feature on the agenda. The World council report featured concern of the Kirk in all corners of the globe, not least the disgraceful slave trade that went on under the euphamism of people trafficing. A former moderator pointed out that this vile trade wan nothing short of slave trade and that the women involved were being raped again and again and again for the gain of those who profited. It moved to do its best to help those trafficked people whenever possible seek to release them and see, those plying this trade brought to justice. 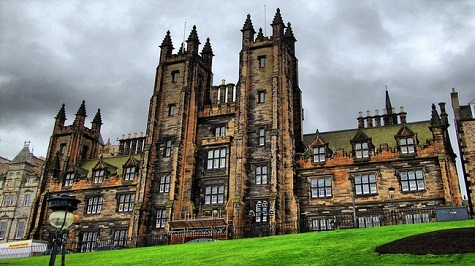 There is also concerns over the churches of Scotland which are spread throughout the Presbytery of Europe and one in Jerusalem in the Middle East. 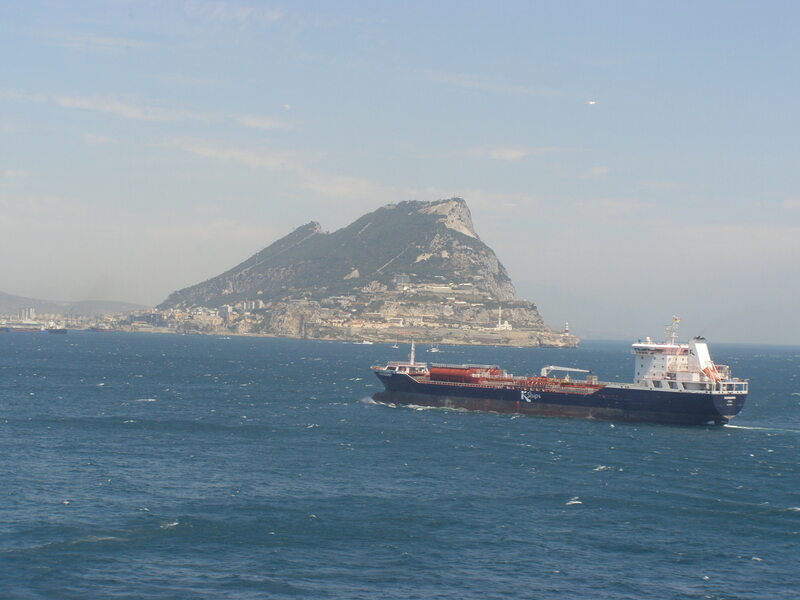 The European churches stretch from Bermuda in the West to Sri Lanka in the east and are in no less than 14 countries. However, with dwindling finance and shortage of ministers there are serious reviews ongoing in this area. The majority of churches have centuries of history and began due to Scottish missionaries of the past. and the Scottish connection is valued not just for the past but the present and future. The Middle East conflagrations and the way in which Israel was dealing with Palestine was also a grave concern and one motion deplored the bulldozing of 1500 trees of life which recently had been destroyed. The family who sought peace and harmony had been attacked and their grounds destroyed. Despite that their concern is to try to live in harmony and try to change the ways of those who seek to take more and more land from them. 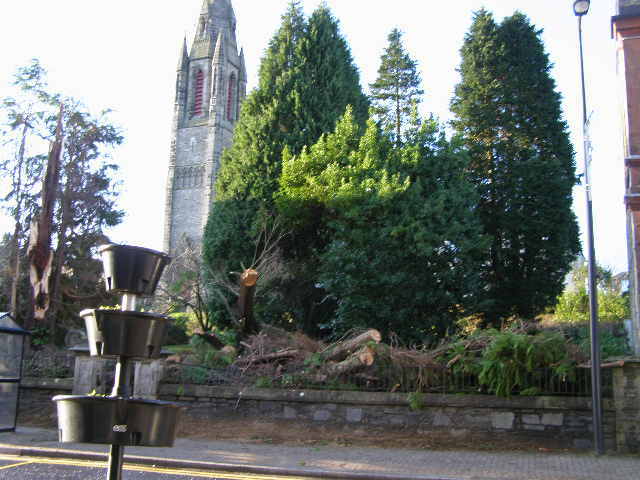 St. John’s Church, Dunoon, Argyll after a storm felled trees in the church grounds. The Guild report wan no longer something just for women as it began but over the past few years Men too join the Guild and it was pointed out this was a worldwide trend throught the Kirks sister churches too. The report highlighted the vast fundraising for good causes and projects achieved by the Guild even in these difficult economic times. 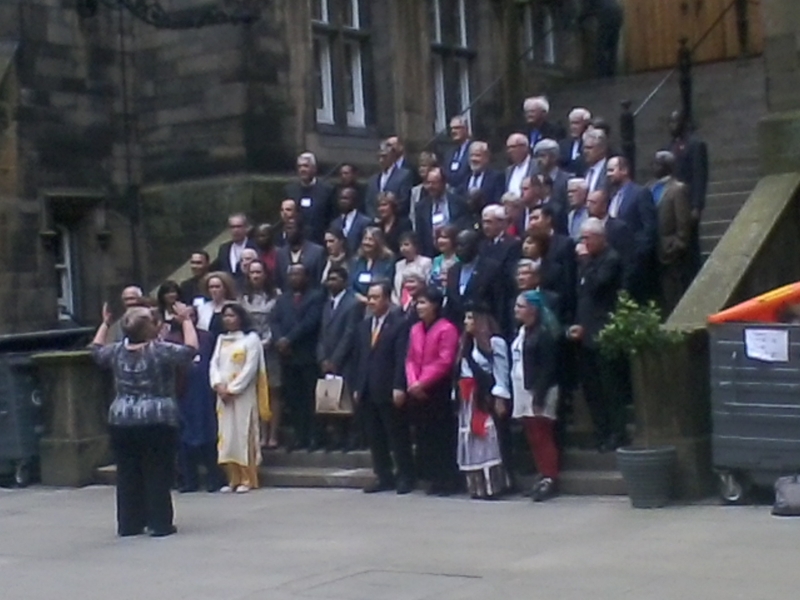 The Kirk firmly continues to be the voice of the voiceless and a number of the overseas guests at assembly were ready to congratulate the Kirk on its work, but also reminded them to continue to be the strong voice of the voiceless wherever that may be.